Opening the NY Times this morning I read of record profits reported by the U.S. insurance industry in 2009. The nation's five largest for-profit insurers had a combined profit of $12.2 billion, according to a report by the advocacy group Health Care for American and overall the companies increased their profits by 56 percent in 2009, a year that saw 2.7 million people lose their private coverage. As a student of economics I appreciate capitalism - but this is no free market scenario. I also understand the theory of insurance as what it is supposed to be: a form of risk management used to hedge against the risk of a contingent loss. An equitable transfer of the risk of a loss, from one entity (the person) to another (the insurance company), in exchange for a premium. But in health care, from a public good standpoint, can we really continue to allow private companies to take the cream off the top of our imploding health care system ? What is the fear of the public option ? Its about money and corruption. The insurance companies continue to drive profits up amid rising costs by paying out less and less in claims while charging more for premiums. This is irrefutable. As the PriceWaterhouseCoopers Health Research Report showed, payments for claims as a percentage of premiums have dropped significantly in the past 14 years, while Medicare outlays have stayed at 97% (see graph below). The true reason the "public option" is so unpopular among some folks , particularly congressional types, is that when a publc option comes to the marketplace the price will be so much more competitive as to render the for profit insurance companies useless. Its called competition. If one follows the money in the world of Congress, both for democrats and republicans, there is a high correlation between their views and contributions by the existing profiteers of our health care system - the insurance companies among others. Carl Bernstein recently lamented that the debate over and the writing of health care reform legislation has shown us "Congress at its worst." The concept of author, professor and activist Larence Lessig "Good Soul Corruption" is a good idea to get your head around if you question why, given the huge profits of private insurance companies, many oppose a public option as some form of evil. Watch the video below and learn how profit interests effect public policy. So little is understood about private insurance and how IT IS NOT serving the role of insurance in the health care crisis. Additionally, that the reason for reform having a hard time is not what opponents claims - its really about maintaining the status quo so the corporate riches will continue to flow. Further to my prior post the LA Times columnist Michael Hiltzik's column appeared this Sunday. I've included it in its entirity for your reading pleasure. Reach him at michael.hiltzik@latimes.com, read previous columns at www.latimes.com/hiltzik, and follow @latimeshiltzik on Twitter. Angela Braly can't kid me. When the chief executive of gargantuan health insurer WellPoint (parent of Blue Cross of California) went before a congressional subcommittee the other day, she displayed all the smile-through-the-tears pluck of Annie looking to a sunny tomorrow or Scarlett swearing to God she'll never be hungry again. WellPoint didn't really want to jack up health premiums on its customers by as much as 39%, she said -- it had no choice. "We care deeply about our California customers," she said. But what she was really telling the committee members was this: "Please put us out of our misery." Braly explained that her company's premium increases on individual policies were based on several circumstances: One, people are getting older. Two, people are becoming unemployed, and if they're healthy they're dropping out of the insurance pool. 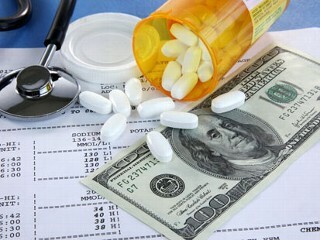 Three, the cost of diagnostic testing is soaring. Implicitly, she begged for the government to help -- put people back to work so they're eligible for cheaper group plans, and clamp down on costs. (Not even the government can stop people for growing older.) Without that help, she intimated, premiums are going to keep rising sharply and WellPoint's already meager profits are going to be hammered worse. In delivering this appeal, Braly was forced to make an implicit admission that her industry almost never makes explicitly: The nation's health coverage system is so hopelessly broken that even the health insurance industry can't handle it anymore. Her testimony, and other statements she and other WellPoint executives have made, suggests that insurers can't profitably manage through periods of high unemployment. They can't price policies in a way that keeps healthy young people in the same pool as older people, producing a mockery of the very point of indemnity insurance. Despite a decade of unobstructed consolidation, which was sold to regulators as a way to control healthcare costs by creating mega-insurers like hers, her industry can't control healthcare costs. Braly's words are a reminder of the most important unasked question in the entire healthcare debate: What do we need insurance companies for, anyway? The only way insurers can remain profitable at all is by selling healthy people on policies that don't offer much coverage at all, while squeezing older, less healthy people remorselessly so they either pay for most of their care out of pocket or get priced out of the insurance market completely (thus becoming a burden for taxpayers). In short, this is an industry that acts as if it will have trouble making money unless regulators allow it to cover only injuries suffered by a young single male hit by an asteroid. Meanwhile, however, it fritters premium income away on expenses generated largely by corporate initiatives having nothing to do with healthcare. WellPoint spent $2.6 billion repurchasing its own shares last year. This was such a good deal for shareholders that its board recently authorized spending an additional $3.5 billion for the same purpose. None of those dollars, it should go without saying, will be available for delivering healthcare to customers. It would have been marvelous and uplifting if all the participants in Thursday’s health reform summit in Washington understood that as well as the insurers themselves. They returned again and again to the old chestnut about allowing insurers to sell policies across state lines. President Obama, to his credit, understood that absent minimum coverage standards this would lead insurers to race into whatever benighted states were willing to remove all coverage standards just to compete for, say, WellPoint's headquarters. No one in any state would be able to buy a policy worth a tinker's damn. The reform opponents greeted his explanation like the deaf adder in Psalm 58: They just stopped their ears. So it's worth scrutinizing Braly's words for a reminder of what really needs to be fixed. In that Wall Street conference call, Braly and her WellPoint management team observed that the company had lost 1.4 million subscribers, or 4%, during 2009. Much of that was because of layoffs by employers who offered WellPoint policies to their workers. That became a big problem for the insurer because of federal COBRA rules allowing laid-off workers to continue their group policies if they pay the full price themselves. Who does that? Only people with sickness in the family, which skewed WellPoint's medical spending higher. Braly in her testimony assured the subcommittee that even with the latest California rate increases, "a 40-year-old woman in Los Angeles can obtain coverage with a $1,500 deductible for as low as $156 per month." She didn't specify what kind of coverage. So let's check out what her company offers. Leaving aside whether that 40-year-old woman might have a preexisting condition that would drive up her premium or make her uninsurable -- anything from diabetes to a history of hay fever -- the insurer's California package with a $1,500 deductible requires the customer to pay up to 70% of the cost of "covered services," including routine mammograms and Pap tests, plus as much as $500 a day for hospital stays. Maternity isn't covered at all, so our 40-year-old Angelena better have gotten her lifetime childbearing out of the way before picking up the phone to sign up. "Our plans fit the way you live," the CoreGuard brochure says. What it really means is: You better fit the plan, or you're out of luck. Shouldn't that have been on the agenda at the Washington summit? WellPoint reported a profit of $876.8 million, or $1.96 a share, up from $580.4 million, or $1.16 a share, a year earlier. Excluding investment impacts, earnings rose to $1.95 from $1.62. Operating revenue decreased 3% to $14.87 billion on fewer total members. Medical membership fell 2.1% to 33.8 million as of March 31 from a year earlier but rose by 165,000 during the quarter. Analysts polled by Thomson Reuters most recently forecast earnings of $1.67 on revenue of $14.72 billion. WellPoint's medical-loss ratio, or the amount of premiums used to pay patient medical costs, fell to 81.8% from 82.5% on the less-severe flu season. But the company expects the ratio to rise for the entire year from 2009. Please note that the surge in profit resulted from their medical-loss ratio which dropped. This means, as my prior post explained, the company is paying out less in costs than it did before. By the way, these reductions in costs don't come as the result of promoting wellness. They come via reductions in what they pay out to providers for services. Just another example of how health "insurance" companies are simply middlemen who add no real value to the system. They are just aggregators who take their cut of the pie.